While we pride ourselves at Modern Smiles to be curators of beautiful smiles and amazing cosmetic dental work, we are also committed to improving our patient’s health through modern methods of detection, prevention and elimination of oral pathologies ranging from Periodontal disease and tooth decay to Oral Cancer and viral lesions. We have incorporated state of the art Epic X Diode Laser, locally administrated Arestin antibiotic, and latest invention in decay eliminating biomaterials such as Silver Diammine Fluoride to effectively detect and eliminate dental diseases that affect our patients. 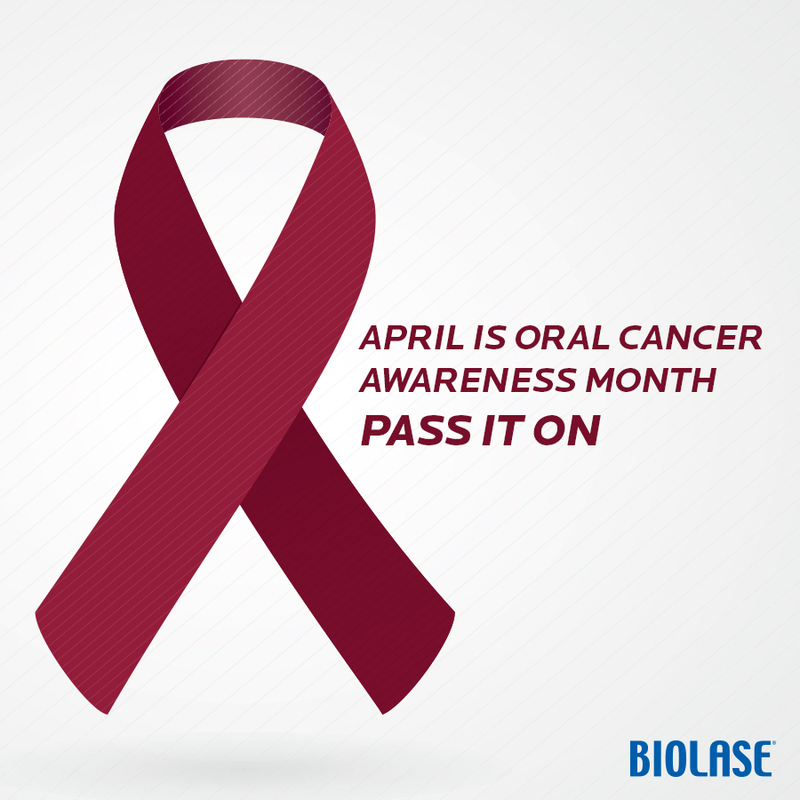 Approximately 49,750 people in the U.S. will be newly diagnosed with oral cancer this year. 132 new people in the US EVERY DAYwill be newly diagnosed with an oral cancer, and that one person EVERY HOUR OF THE DAY, 24/7/365 will die from it. Unfortunately oral cancer is often discovered in the late stages when the prognosis for the patient is poor. At Modern Smiles, Dr. Tajik, carefully examines every patient at every appointment for signs of oral cancer through a detailed intra- and extra-oral exam and to help raise awareness, we are offering free visual and tactile oral cancer screening for the entire month of April! At Modern Smiles we are committed to our patient’s health and giving back to our community in the hopes of raising awareness for oral cancer and the need for early detection in order to save lives. If you or a family member is interested please call our office at (818) 763-9353 or book online. Our staff is ready to schedule a screening at a convenient time for you. According to a recent study conducted by the American Academy of Cosmetic Dentistry (AACD), nearly every American adult (99.7%) believes a smile is an important social asset and the most common response from the respondents was a desire for whiter and brighter teeth. At Modern Smiles, a general and cosmetic dental office in North Hollywood, our patients often express a similar desire along with wanting to have longer or more pronounced front teeth. Whether you’re considering a simple procedure like teeth whitening or a full smile makeover, you will need an experienced dentist with strong communications skills to obtain the best results possible. At our dental office in North Hollywood we perform a wide spectrum of procedures designed to give our patients the smile makeover they desire. Our services range from laser gum re-contouring, teeth whitening to porcelain veneers and full mouth rehabilitation. A person’s smile can leave a lasting impression on the many social interactions we experience daily. Therefore, its important to choose the right mix of procedures, to achieve your ultimate smile. While gum reshaping and whitening may make sense for some patients, porcelain veneers or realigning of teeth with Invisalign maybe the right solution for others. Cosmetic dentistry and smile makeovers cannot be mass produced based on a template, each smile is different, and at Modern Smiles every patient will receive a modern smile evaluation following a custom treatment plan that will achieve their goals. We cannot stress enough the importance of having an experienced and artistic dentist for your treatment and at Modern Smiles we are dedicated to providing you with highest level of talent and service. Call you us today at 818-763-9353 or make an appointment online to get your free smile consultation. Did You Know Feb is National Children’s Dental Health Month? The American Dental Association, ADA, has sponsored a campaign called National Children’s Dental Health Month every February to raise awareness about the importance of stopping childhood caries and developing good oral hygiene habits at an early age. Not only can this noble effort lead to a lifetime of healthy teeth and gums in our children today but also in the future generations leading to thousands of dollars of savings in preventable dental care. This year’s campaign slogan, is “Choose Tap Water for a Sparkling Smile” to highlight the benefits of fluoridated tap water over sugar-sweetened beverages. Fluoridated water has the added benefit of preventing tooth decay and at Modern Smiles we emphasize the importance of regular oral checkups along with preventable methods such as fluoride. When is the best time to start cleaning my child’s teeth? This is one of the most often asked questions at our dental office in North Hollywood and the short answer is: As soon as you see one! The earlier you can start establishing an oral hygiene routine with your child the better. For premature baby teeth that have not fully emerged from the gum you can use a clean moist wash cloth or special baby tooth brush that has very soft bristles to clean them. For teeth that have fully emerged and erupted in the mouth, use a soft bristle, child-sized tooth brush at least twice daily with just a dab of fluoridated toothpaste. Although fluoride is important in preventing tooth decay, swallowing too much of it can cause an upset stomach in young children. Any teeth, baby or adult, is susceptible to decay causing bacteria especially if they are routinely exposed to fluids or foods that contain sugar such as Milk, formula or even breast milk. These drinks all contain sugars, that if allowed to stay in contact with your baby’s teeth for long periods of times, such as sleeping with a baby bottle, facilitate development of childhood decay. Anything but water is a high risk of causing decay, and juices are even worse as they contain both sugars and acids. Can my baby have sweets once in a while? Short answer is YES! It’s not realistic to make your kids avoid sweets completely but having sweets once in a while under supervision is preferable. Try to make it far and in between and its better to have deserts or candies immediately after a meal followed by brushing or rinsing to prevent sugars from building up around their teeth. Soda drinks should just be avoided at all costs. There is just no benefit in them, only harm! As soon as you see teeth in their mouth! Our professional dentist at Modern Smiles, Dr. Tajik, recommends having the first visit be in year one. Baby’s mouth starts collecting bacteria as soon as the first tooth erupts and there is a lot we can do at that first visit to ensure good oral health. At Modern Smiles we will do everything possible to make sure your child’s first visit to the dentist is a positive one! This will help set an important trend for many more visits to come and their overall perception of dental care. We’ll also answer any specific questions you may have and provide hands-on training and instructional manuals on how to care for your little one’s teeth and gums. If you would like more information about your child’s oral health, please call us at (818) 763-9353 or schedule an appointment online for a consultation. In today’s socially connected society, your online presence and profile plays a much bigger and more significant role with recruiters, job searching and marketing your personal brand to the community. Today’s employers look beyond traditional methods of evaluating a candidate such as cover letters, resumes or a credit check and into your social profile on Facebook, LinkedIn, Twitter or other online venues to research potential hires. With that in mind, here at Modern Smiles Dentistry in North Hollywood, we believe that your smile can be your advantage in fulfilling your potential. For better or worse, people are judged by their appearance and when someone with a beautiful, glowing, and healthy smiles come in for an interview, it can make a significant difference to that prospective employer. In a city like Los Angeles or Hollywood, where so many people work in the entertainment, design or real estate industry, one’s smile can play a huge role in not only their personal life, but also professional career. The good news is, you can turn this into an advantage for yourself with some Cosmetic Dentistry procedures such as teeth whitening, porcelain veneers, or a complete smile makeover in as short as one or two appointments. At Modern Smiles, we also offer easy to use and no interest financing options to make your treatment possible and affordable. A great-looking smile has never been easier to obtain and in competitive situations your smile can give you that edge to succeed. When you are confident in your smile and presentation, you speak with more conviction without the distraction or anxiety of being judged by your teeth, as a candidate with broken, stained or bad breath might feel as they talk. This other candidate may be even be less inclined to smile and to cover their mouth frequently as a sign of insecurity. To learn more about how cosmetic dentistry procedures with Modern Smiles Cosmetic Dentistry in North Hollywood can help you obtain your winning smile schedule a free consultation online or by calling 818.763.9353 today. People do many things to take care of their teeth and gums. Regular brushing, frequent flossing, and dental checkups help keep your smile at its best. Sometimes, we forget that the foods and beverages we consume also impact our dental health. The following choices recommended by dentists can help by getting rid of plaque, strengthening enamel, and freshening breath. Biting down on abrasive foods like celery stimulates gums and removes debris from your teeth. The extra chewing required to eat celery also keeps saliva flowing in your mouth, which neutralizes acids and washes away bacteria. Read about Dr. Kosdon and what Modern Smiles has to offer. Click on image below to view article. Please select an article below to read more on Dr. Kosdon and celebrity dental work. 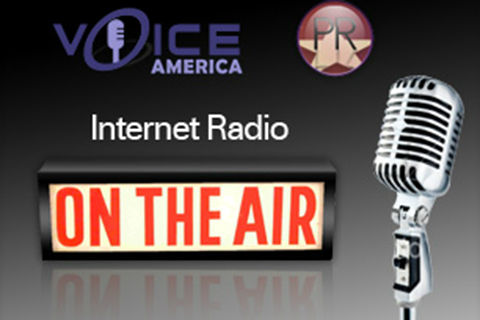 Voice America radio interview with Dr. Michael Kosdon. Dr. Kosdon discusses cosmetic dentistry and being mouth aware. Dr. Kosdon helps his patients with a stellar smile. Click on the image below to view the article.